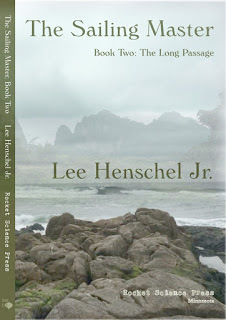 The Long Passage by Lee Henschel Jr.
Book two of Lee Henschel’s The Sailing Master series begins in 1798, and our narrator, young Owen Harriet, has been promoted from cabin boy to midshipman. His ship, Eleanor, is sent on a mission across the world, to the Mekong delta, where rumors have it our erstwhile villain, French officer Théophile Oignon, a.k.a. the Onion, is active promoting the cause of Napoleon. Many of Owen’s ship­mates are also familiar from book one: his friends Hudson and Both­erall, the bosun Ajax, and Lieutenants Hoyer and Lockhart. And of course there is the sailing master himself, Mr. Lau, who takes on a more fatherly role now that Captain Cedric, Owen’s uncle, is dead. New personalities are also introduced, many of them colorful: Eleanor’s new master, Captain Praether; an an aristo­cratic temptress named Lady Elspeth, who Owen meets while ashore in George Town; and a young Buddhist priest whom Owen refers to as Quay (no one knows Quay’s real name, as he has taken a vow of silence). Hommage opened fire with her port battery. Once more the salvo threw high, for they meant to cause more damage aloft. The bar shot screamed through Eleanor’s rigging to part a downhaul on the forestaysail. A halyard failed and sheared off, luffing the top gallant yard. I relayed the command most lively. Just three guns fired! I looked to Hommage to see if any round struck home. All three fell short. Boat traffic plied steady between villages. Sampans, mostly, along with small junks and coracles. But after making upstream for two days, the river narrowed and ran dark green. The villages grew small and more isolated, finally replaced by low palms, with their fronds brushing on Krom as we slipped past. 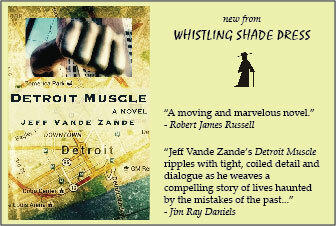 The air closed in and became fetid, smelling of rotted vegetation and fish. Soon we entered a stretch of tall reeds called Moi, named for the tribe that lived among them. Birds and monkeys, and perhaps even the Moi, called from deep cover as we made ever upstream. The scene might be something out of Conrad, but Henschel instills the tale with his narrator’s youthful, simplistic viewpoint. If no carefully crafted theme of higher meaning can be discerned in the chaotic journey of The Long Passage, still the sheer joy of Owen’s life—sailing on a ship, traveling places, fighting Napoleon at the very height of the age of romantic gallantry—keeps the wind brisk and all sails filled.